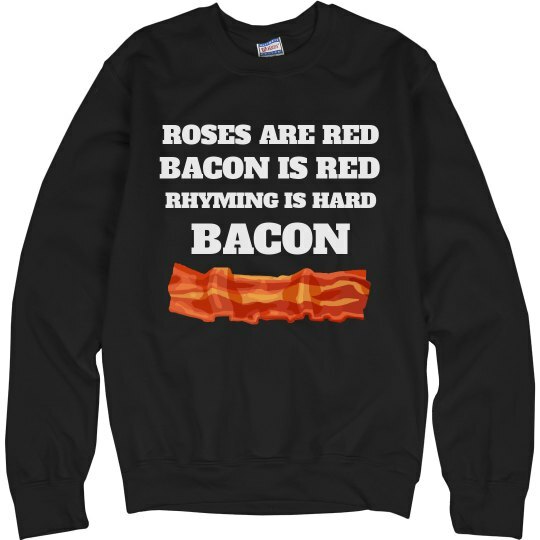 Roses are red, bacon is red too, rhyming is hard...uhh..BACON! Create a funny valentine's themed design that shows your love for bacon. No need for a date this Valentine's Day. You have bacon to eat!